Here are an overview of my interests, lists of publications and conference papers, some of the courses I’ve taught, and a few personal items. My writing has almost all been in philosophy of mind. Here are some of the questions I’ve written about. Are sensations (pains, nausea, sounds, tastes, smells, etc.) the very same things as activities of neurons in your brain? Do explanations of how computers (of various kinds) work also explain how people manage to be intelligent? Is there a way it feels to think? Is there a mathematical argument that proves that our intelligence could never be duplicated by any machine? Could a robot ever be made that would genuinely suffer from pain? You can find what I’ve said about these in the books and articles below. But be warned: these other publications appeared in professional journals and books marketed to other professors, and so they generally assume some familiarity with terms of art and the writings of others. Brains and People, Philadelphia: Temple University Press, 1988. Computers, Minds, and Robots, Philadelphia: Temple University Press, 1992. Understanding Phenomenal Consciousness, (Cambridge: Cambridge University Press, 2004). 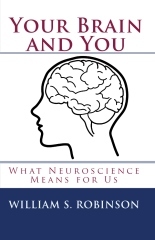 Your Brain and You (New York: Goshawk Books, 2010). “Judgments Involving Identification”, Analysis (1964) 24:206-08. “Dennett’s Analysis of Awareness”, Philosophical Studies (1972) 23:147-52. “The Legend of the Given” in Action, Knowledge and Reality: Critical Studies in Honor of Wilfrid Sellars, H.-N. Castaneda, ed., Indianapolis: Bobbs-Merrill, 1975, 83-108. “Chisholm’s Paralogism”, Philosophical Studies (1979) 36:309-16. “Technology and Values: Some Preliminary Clarifications”, Iowa State Journal of Research (1979) 54:241-47. “Do Pains Make a Difference to Our Behavior?” American Philosophical Quarterly (1979) 16:327-34. “Dennett’s Dilemma” (with A. David Kline) The Journal of Critical Analysis (1979) 8:1-4. “Sellarsian Materialism”, Philosophy of Science (1982) 49:212-27. “Causation, Sensations and Knowledge”, Mind (1982) 91:524-40. “Why I am a Dualist”, in Philosophy: The Basic Issues, E. D. Klemke, A. D. Kline & R. Hollinger, eds., New York: St. Martin’s Press, 1982, 169-76 (and, with revisions, in subsequent editions). “Dretske’s Etiological View”, Southwest Philosophical Studies (1983) 9:23-29. “The Ontological Argument”, The International Journal for Philosophy and Religion (1984) 16:51-59. “Toward Eliminating Churchland’s Eliminationism”, Philosophical Topics (1985) 13:61-68. “Ascription, Intentionality and Understanding”, The Monist (1986) 69:584-97. “States and Beliefs”, Mind (1990) 99:33-51. “Rationalism, Expertise And the Dreyfuses’ Critique of AI Research”, The Southern Journal of Philosophy (1991) 29:271-290. “Penrose and Mathematical Ability”, Analysis (1992) 52:80-87. “Orwell, Stalin and Determinate Qualia”, Pacific Philosophical Quarterly (1994) 75:151-164. “Brain Symbols and Computationalist Explanation”, Minds and Machines (1995) 5:25-44. “Mild Realism, Causation, and Folk Psychology”, Philosophical Psychology (1995) 8:167-187. “Direct Representation”, Philosophical Studies (1995) 80:305-322. “Some Nonhuman Animals Can Have Pains in a Morally Relevant Sense”, Biology and Philosophy (1997) 12:51-71. “Could a Robot Be Qualitatively Conscious?”, AISB Quarterly, No. 99 (Winter/Spring, 1998) 13-18. “Intrinsic Qualities of Experience: Surviving Harman’s Critique”, Erkenntnis (1998) 47:285-309. “Qualia Realism and Neural Activation Patterns”, Journal of Consciousness Studies (1999) 6:65-80. Article “Epiphenomenalism”, Stanford Encyclopedia of Philosophy, archive edition of March 31, 1999. Available at <http://plato.stanford.edu/entries/epiphenomenalism&gt;. Updated 2003; 2007. Article “Qualia Realism” in A Field Guide to the Philosophy of Mind, available at http://host.uniroma3.it/progetti/kant/field/qr.htm . Posted in April, 2000. “Jackson’s Apostasy”, Philosophical Studies (2002) 111:277-293. “Colors, Arousal, Functionalism and Individual Differences”, Psyche 10 (2), September 2004. (Selected by editor from refereed-abstract papers presented at 2001 conference of Association for the Scientific Study of Consciousness. Delay due to long period with no functioning managing editor.) Available at http://www.theassc.org/files/assc/2598.pdf . “A Few Thoughts Too Many?”, in Gennaro, R., ed., Higher Order Theories of Consciousness (Amsterdam and Philadelphia: John Benjamins Publishing Co., 2004), pp. 295-313. “Searle and Subjectivity”, Bulletin of Advanced Reasoning and Knowledge, 2:11-18 (2004). Available at http://advancedreasoningforum.org/BARK-Volumes/BARK_2.3_Robinson.pdf . “Zooming In on Downward Causation”, Biology and Philosophy, (2005) 20:117-136. “Thoughts Without Distinctive, Non-Imagistic Phenomenology”, Philosophy and Phenomenological Research, (2005) 70:534-561. “Knowing Epiphenomena”, Journal of Consciousness Studies, (2006) 13:85-100. “What Is It Like to Like?”, Philosophical Psychology, (2006) 19:743-765. “Qualitativer Ereignisrealismus und Epiphänomenalismus”, in T. Metzinger, ed., Grundkurs Philosophie des Geistes, Band 2: Das Leib-Seele-Problem (Paderborn: Mentis Verlag, 2007), pp. 325-363. “Papineau’s Conceptual Dualism and the Distinctness Intuition”, Synthesis Philosophica (2007) 22:319-333. “Evolution and Epiphenomenalism”, Journal of Consciousness Studies, 14(11):27-42 (2007). “Experience and Representation” in Wright, E., ed., The Case for Qualia (Cambridge, MA: MIT Press/Bradford, 2008), pp. 73-87. Article “Epiphenomenalism” in Wiley Interdisciplinary Reviews: Cognitive Science, vol. 1, July/August 2010: 539-547. “A Frugal View of Cognitive Phenomenology”, in Bayne, T. & Montague, M., Cognitive Phenomenology (Oxford: Oxford University Press, 2011), pp, 197-214. “Phenomenal Realist Physicalism Implies Coherency of Epiphenomenalist Meaning”, The Journal of Consciousness Studies, 19(3-4):145-163 (2012). “Developing Dualism and Approaching the Hard Problem”, The Journal of Consciousness Studies, 21(1-2):156-182 (2014). “Philosophical Challenges” in K. Frankish & W. M. Ramsey, eds. The Cambridge Handbook of Artificial Intelligence (Cambridge: Cambridge University Press, 2014), pp. 64-85. “Red is the Hardest Problem”, Topoi 36(1):5-16 (2017). Now accessible via https://rdcu.be/7y0s . “Dualism” in R. J. Gennaro, ed., The Routledge Handbook of Consciousness (London and New York: Routledge, 2018). “Remarks on Professor Hocutt’s ‘Spartans, Strawmen and Symptoms'”, Behaviorism (1985) 13:157-61. “It’s Past Fixing” (discussion note on Peter Forrest’s “Backward Causation in Defense of Free Will”) Mind (1986) 95:230-32. “Can Animals Have Pains in a Morally Relevant Sense? — Yes”, Ag Bioethics Forum, (December, 1992) 3-4. Commentary on David Boonin-Vail’s “Contractarianism Gone Wild: Carruthers and the Moral Status of Animals”, Between the Species (Winter & Spring, 1994) 49-52. “A Gap Not Bridged”, Comments on J. G. Taylor’s “Cortical Activity and the Explanatory Gap”, Consciousness and Cognition (1998) 7:210-211. 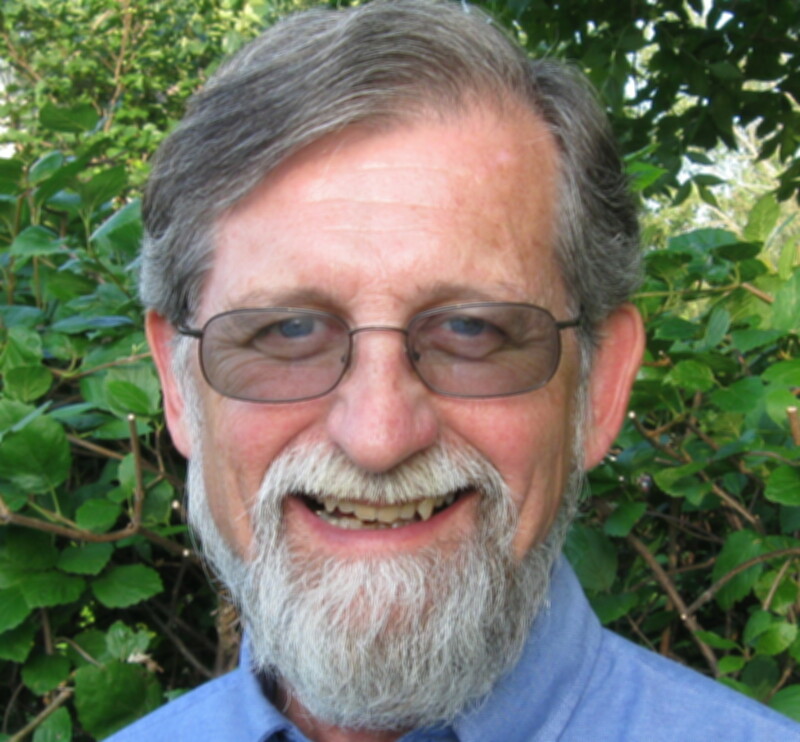 “A Theory of Phenomenal Consciousness?”, commentary on Peter Carruthers’ “Natural Theories of Consciousness”, in the electronic journal Psyche 5(4). Available at <http://www.theassc.org/files/assc/2430.pdf . “Perception, Affect and Epiphenomenalism”, commentary on Mangan, B. (2001) Sensation’s Ghost: The Non-sensory “Fringe” of Consciousness). Psyche 10 (1). Posted in June 2004.) Available at http://www.theassc.org/files/assc/2594.pdf . Article “Qualia” in Encyclopedia Americana, posted March, 2005. “Doubts About Receptivity”, commentary on G. Rosenberg, A Place for Consciousness (Oxford: 2004), Pysche 12 (2006). Available through http://www.theassc.org/files/assc/2656.pdf . Article, “Epiphenomenalism” in The Oxford Companion to Consciousness, T. Bayne and A. Cleermans, eds., (Oxford: Oxford University Press, 2009), pp. 271-273. “A Wake Up Call”, Commentary on Philip Goff’s “Property Dualists Should Be Panpsychists”, Third Consciousness Online Conference, Jan-Feb 2011. Available at http://consciousnessonline.files.wordpress.com/2011/02/commentary-on-goff-robinson1.pdf . Revised version in Richard Brown, ed., Consciousness Inside and Out: Phenomenology, Neuroscience, and the Nature of Experience (Dordrecht: Springer, 2014), pp. 93-101. Web article, “Challenges for a Humanoid Robot” available at http://onthehuman.org/2011/06/challenges-for-a-humanoid-robot/ . (Approx 2,500 words; posted 6/6/2011.) Comments from several philosophers and my responses to them appear on the same web page, immediately after the article. A link at the bottom of this page takes you to On The Human’s facebook page, where I posted two further responses on 6/22/2011. “Experiencing is Not Observing: A Response to Dwayne Moore on Epiphenomenalism and Self-Stultification”, The Review of Philosophy and Psychology 4(2):185-192 (2013). “Concept Acquisition and Experiential Change: An Examination of Siegel’s Hologram Argument”, The Baltic International Yearbook of Cognition, Logic and Communication, 9:1-11 (2014). DOI: 10.4148/biyclc.v9i0.1089. Available at http://newprairiepress.org/biyclc/vol9/iss/10. Review of Y. Nagasawa, God and Phenomenal Consciousness: A Novel Approach to Knowledge Arguments, in Mind 121 (2012) 217-221. “Sensations, Awareness and Classification”, Iowa Philosophical Society, October, 1969. “Technology and Values: Some Preliminary Clarifications” (invited paper), Humanities Symposium of Technology and Values, Iowa State University, April, 1977. “How to Tell What a Martian Thinks”, invited lecture, Grinnell College, December, 1978. “Can Pains Make a Difference to Our Knowledge?” Western Division, American Philosophical Association, April, 1980. “Causation, Sensations and Persons”, invited lecture, University of Iowa, May, 1980. “Keeping Rorty in Mind” (refereed paper), Central States Philosophical Association, October, 1980. “Materialism and Levin’s Monadic Thesis” (refereed paper), Eastern Division, American Philosophical Association, December, 1980. “Toward the Elimination of Churchland’s Eliminationism”, Southwestern Philosophical Society, November, 1981. “Dretske’s Etiological View”, Southwestern Philosophical Society, November, 1983. “Recursive Behaviorism”, Eastern Division, American Philosophical Association, December, 1984. “The Conversation of Homunculi, or How Not to Dispel a Paradox”, Mountain-Plains Philosophy Conference, October, 1986. “Dretske’s Simple Model”, Central Division, American Philosophical Association, April, 1989. “Dreyfus, Dreyfus, Plato and Euthyphro”, invited lecture, University of Nebraska at Omaha, March, 1990. “Phenomenalism and Philosophy of Mind”, Central States Philosophical Association, November, 1990. “Can Animals Have Pains in a Morally Relevant Sense? — Yes”: Debate with Peter Carruthers sponsored by Iowa State University BioEthics Program, Ames, IA, October, 1992. “Orwell, Stalin, and Determinate Qualia”, Pacific Division, American Philosophical Association, March, 1993. “Intrinsic Consciousness” (poster session), “Toward a Scientific Basis for Consciousness” conference, Tucson, AZ, April, 1994. “Searle and Subjectivity” (refereed paper), Eastern Division, American Philosophical Association, December, 1994. “The `Hard Problem’ of Consciousness”, invited lecture, University of Kansas, Lawrence, KS, April, 1995. “Constraining Consciousness”, “Toward a Science of Consciousness” conference, Tucson, AZ, April, 1996. “Stalking the Neural Causes of Qualia” (invited paper) and “Colors and Consciousness” (invited lecture), UNLV, April, 1997. “Representation and Cognitive Explanation”, “New Trends in Cognitive Science” conference, Vienna, Austria, May, 1997. “Qualia Realism and Neural Activation Patterns” (refereed paper) “Toward a Science of Consciousness” conference, Tucson, AZ, April, 1998. “Homogeneity and Consciousness”, ASSC-2 conference, Bremen, Germany, June, 1998. “On Liking Our Pleasures”, Presidential Address to Central States Philosophical Association, October, 1998. Substantially revised and expanded version presented at “Toward a Science of Consciousness – Fundamental Approaches” conference, Tokyo, May, 1999. “Representation and Epiphenomenalism”, Society for Philosophy & Psychology conference, Stanford University, June, 1999. “Jackson’s Apostasy” (refereed paper), Pacific Division, APA, March, 2000. “Autopilot Cases, Unconscious Perceptions, and Monitoring Theories”, “Toward a Science of Consciousness”, 4th Tucson conference, April, 2000. “Continuity and Consciousness”, “The Unity of Consciousness: Binding, Integration, and Dissociation, 4th ASSC conference (Association for the Scientific Study of Consciousness), Brussels, Belgium, June 29 – July 2, 2000. “Consciousness, Materialism, and Ideology” (invited paper) Advanced Reasoning Forum conference, Bucharest, Romania, July 2000. Workshop: Qualia Realism, Presentation and Representation, Pre-conference morning workshop, ASSC-5 Conference, Duke University, May 27, 2001. “Colors, Arousal, Functionalism, and Individual Differences” paper presented at ASSC-5 Conference, Duke University, May 28, 2001. “Deep Experience” (invited paper) Advanced Reasoning Forum conference, Berkeley, CA, July 2001. “Zooming In on Downward Causation”, (invited plenary session lecture) “Toward a Science of Consciousness”, 5th Tucson conference, April, 2002. “Expressing Our Thoughts” (refereed abstract), presented at ASSC-6, Barcelona, June 2002. “Internal Color Functionalism”, (invited paper) presented at Advanced Reasoning Forum conference, João Pessoa, Brazil, December, 2002. “Reactive Dissociation and Pain Illusion” (refereed paper) Pacific Division, APA, March 27, 2003. “Epiphenomenalism, Naturally”, invited presentation at workshop prior to GAP-5 (meeting of the German Analytical Philosophy Society), Bielefeld, September, 2003. “Knowing Epiphenomena”, “Toward a Science of Consciousness”, 6th Tucson conference, April, 2004. “How to Make Yourself Disappear”, Iowa State University, October, 2005. (Distinguished Humanities Scholar lecture under auspices of the Center for Excellence in Arts and Humanities). “Can Representationalists Be Physicalists?”, seventh Tucson conference “Toward a Science of Consciousness”, April, 2006. “How to Make Yourself Disappear”, Davidson College, April, 2006. “Three Kinds of Transparency”, 8th Tucson conference “Toward a Science of Consciousness”, April 9, 2008. “Phenomenal Realist Physicalism Implies Coherency of Epiphenomenalist Meaning”, “Toward a Science of Consciousness”, 9th Tucson conference, April, 2010. “Constraints for Phenomenal Quality Realists” (poster session), 15th meeting of the Association for the Scientific Study of Consciousness, Kyoto, Japan, June 9-12, 2011. “The Hard Problem Problem”, 10th Tucson conference, “Toward a Science of Consciousness”, April 2012. “Concept Acquisition and Conceptual Change”, Conference on Perception and Concepts, Riga, University of Latvia, May, 2013. “Russellian Monism and Epiphenomenalism”, 11th Tucson conference “Toward a Science of Consciousness”, April, 2014. “Dualism Without Conceivability Arguments”, 12th Tucson conference, “Science of Consciousness”, April, 2016. “Thick NCCs Yield Physicalist Epiphenomenalism”, 13th Tucson conference, “Science of Consciousness”, April, 2018. “Neuroscience and the Self”, inaugural lecture for a new neuroscience program, University of Wisconsin, La Crosse, May 1, 2018. I taught for a semester in China in 1987, which was a wonderful and transformative experience. I have maintained an interest in Chinese history and current development ever since. Other nonprofessional reading is eclectic: non-fiction (largely history or biology), occasionally a novel that’s not a mystery, but more often a mystery. I enjoy traveling. Top recommendations: American Southwest, especially anything reachable from Moab (this includes Mesa Verde), London, Berlin, Bilbao, Angkor Wat, Beijing, Wu Tai Shan, Grand View Garden (near Shanghai), Borobudur and Prambanan, Tikal and Caracol. I have an interest in classical music that ranges from Adams to Zwierzchowski, (or, one could say, from Machaut to Mahler). Dixieland is also great. I play alto recorder in an ensemble that meets once a week. Since 2013, I’ve taken to composing some trio music for our group. My wife is the historian, Maureen Ogle. She writes for a general audience and has been my inspiration for writing Your Brain and You, as well as my severest critic. If you’re interested in the history of American plumbing, Key West, the American beer industry or the American meat industry, you should look her up at http://maureenogle.com . I have two daughters and one grandson.